We will be showing The Last Night of the Pythons live from London’s O2 on Sunday 20 July – the Pythons last ever live performance together. We will also be showing an encore of the live broadcast on Thursday 7th August 2014. 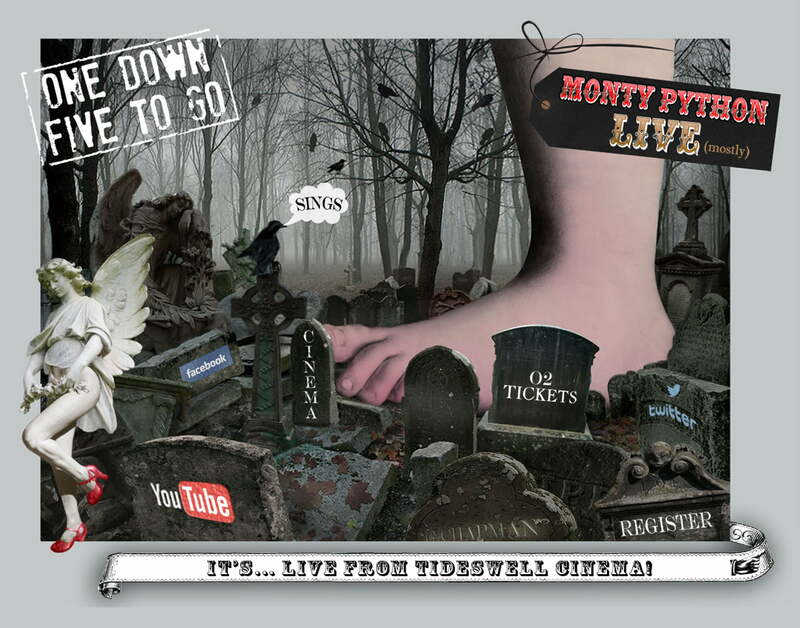 The surviving members of legendary comedy troupe Monty Python are reuniting for a series of live stage shows at London’s O2 Arena, beginning on July 1 for 10 dates, Eric Idle, John Cleese, Terry Gilliam, Michael Palin and Terry Jones (combined age 357) have revealed that the show will mix greatest hits (given ‘modern, topical, Pythonesque twists’), material that’s never been performed live, and the odd new joke. The Pythons haven’t performed lived since 1980 at the Hollywood Bowl and this London show will be their first live gig in England for 40 years. Please arrive by 6.30pm to register and to order interval drinks if you wish. The George Hotel serves meals – please contact them directly on 01298 871382 if you would like to book a pre-show meal. We will be showing Medea live from the National Theatre, London on Thursday 4th September 2014. Terrible things breed in broken hearts. Medea is a wife and a mother. For the sake of her husband, Jason, she’s left her home and borne two sons in exile. But when he abandons his family for a new life, Medea faces banishment and separation from her children. Cornered, she begs for one day’s grace. 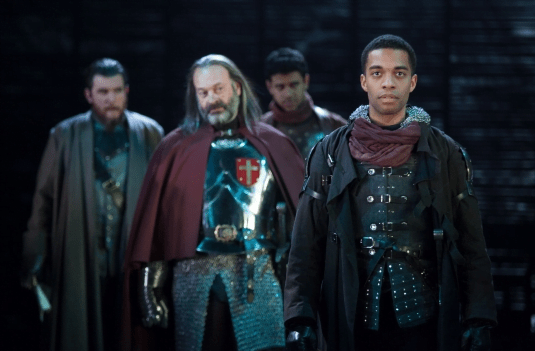 We will be showing Henry IV Part 2 live from the Royal Shakespeare Company, Stratford-Upon-Avon on Wednesday 18th June 2014. King Henry’s health is failing as a second rebellion threatens to surface. Intent on securing his legacy, he is uncertain that Hal is a worthy heir, believing him more concerned with earthly pleasures than the responsibility of rule. Meanwhile, Falstaff is sent to the countryside to recruit fresh troops. Amongst the unwitting locals, opportunities for embezzlement and profiteering prove impossible to resist as Falstaff gleefully indulges in the business of lining his own pockets. As the King’s health continues to worsen, Hal must choose between duty and loyalty to an old friend in Shakespeare’s heartbreaking conclusion to this pair of plays. RSC Associate Artist Antony Sher returns to the Company to play the infamous comic knight Falstaff. He is joined by Jasper Britton as Henry IV and Alex Hassell as Prince Hal. Jasper returns following his performances in The Taming of the Shrew/The Tamer Tamed (2003). Alex returns to the RSC following his recent credits in A Midsummer Night’s Dream, Cardenio and The City Madam(2011). Running time: 2 hrs 45 mins plus 20 minutes interval. Please arrive by 6.30pm to register and to order interval drinks if you wish.